I’m not going to lie, I was very sceptical when I first heard about Twitter. For whatever reason, I’ve always tried to stay off the trendy social networking site bandwagon. When I gave into MySpace and the Facebook a couple of years ago, I felt like I was betraying my roots. I was a fool! Did I learn anything? Not really! Twitter comes along, and people start buzzing about it; I know it’s not going anywhere, but I refuse to jump on board with everyone else… Here’s why that was such a bad move. If you’re not familiar with Twitter, give it a quick look. The idea behind Twitter is you get to use 140 characters to answer the questions “what are you doing?” Twitter now allows a 280 character limit, which has been raised from only 140 previously. If that’s all Twitter was (and that’s all I thought it was for a long time), it would be a giant waste of time. Instead, Twitter is one of the most dynamic methods to get answers to any question you can dream of. 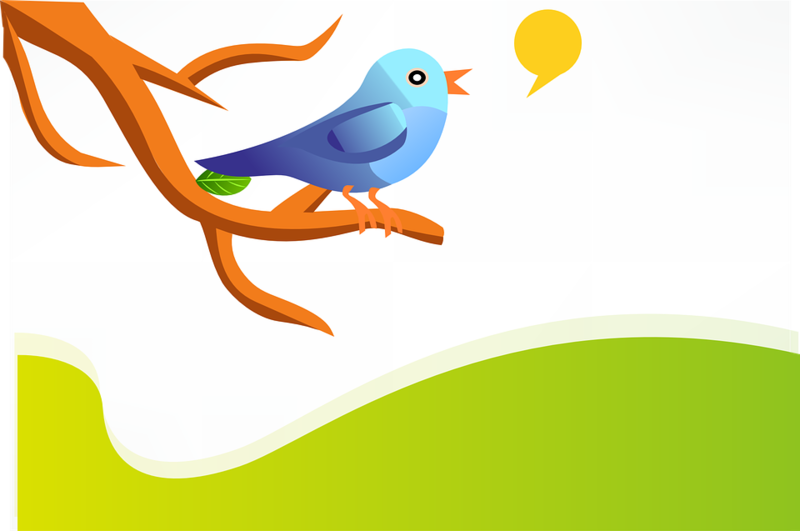 Make Use of wrote an excellent article about how to use Twitter as a dynamic search engine. If you can’t get the answers you want using the search method provided by Make Use Of, just ask! There are millions of people tweeting away who would happily share their knowledge with you. Aside from being a dynamic search engine, Twitter is a ridiculously useful marketing tool. When you tweet, all of your followers can read what you said kind of like a huge chat room. If you have 60,000 followers like John Chow, simply tweeting without tags will get you a ton of exposure. Daniel Scocco over at Daily Blog Tips did some tracking and found out the CTR for Twitter was about 1 click per 100 followers. So in John’s case, one tweet should get him about 600 hits; pretty good traffic for typing less than 140 characters and pressing enter! The problem for most people is they don’t have 60,000 followers so just a simple tweet won’t get them much on its own. So how can Twitter be used as a marketing tool? Effectively using #topics and talking with @people. When you put a # in front of something it becomes a searchable topic. By picking a favourite item (like #fact), you can increase the exposure to your tweet tremendously. Trending topics are topics that are being tweeted the most at any given time. Many times they are goofy like #itsnotgonnawork or #in10yrs, but there are also times when more business appropriate topics like Apple, iPhone, and AT&T are trending. When you put @ in front of someone’s username to talk to them. Other people can read those tweets though. By @tweeting at favourite people (in your niche) who are searched frequently, you can significantly increase the exposure of your tweets. So how does this all relate to marketing? As Seth Godin pointed out, there is a massive attention surplus. Just putting an ad in front of someone isn’t going to make them buy; they might not even take a second look at it. It might make them ask questions though. Twitter allows you to interact with the people you’re marketing to. Interaction builds trust, and that leads to traffic, sales, and followers.